Harbour Brewing in Cornwall, UK will launch a new wild/mixed fermentation project led by James Rylance, formerly of London’s Redchurch Brewery. Rylance had spent the previous twelve months developing Redchurch’s own mixed-fermentation project, known as Urban Farmhouse in Bethnal Green, East London. Harbour plans to invest in a purpose-built facility for the project. It will feature a 6-BBL kit, barrels and foeders for oak fermentation, along with herb gardens and fruit trees that will eventually bear produce to be used specifically for this project. This news may come as a surprise to some, in that Redchurch’s Urban Farmhouse project has barely gotten off the ground. In fact, Rylance himself spoke with excitement and enthusiasm about the project on a GBH podcast back in October 2016. This won’t spell the end for the Redchurch project. 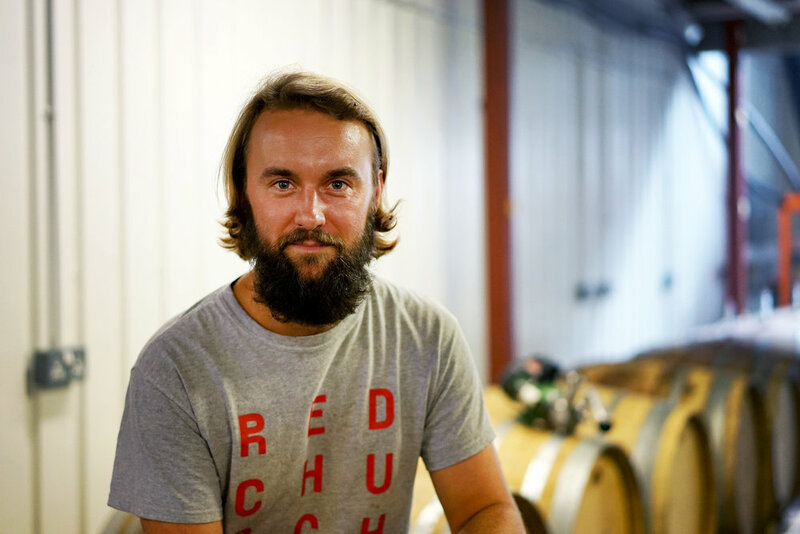 Reached by GBH, Redchurch founder Gary Ward says that “Urban Farmhouse is still an ongoing project with a bright future.” More plans for the East London space, which is also home to Redchurch’s taproom, are due to be revealed in 2018. Redchurch’s Urban Farmhouse lineup has featured some of the most talked about UK beers this year. The tart and tannic On Skins: Plums and the gently acidic and softly floral Dry Hopped Sour are just a couple of examples. Rylance, who has also previously brewed at Beavertown and The Kernel, has had a great deal of impact on the London brewing scene within just a few short years. For Harbour, this will be its first foray into the world of wild and sour, expanding on its existing range of clean-fermented beers. The move is a growing indicator of how significant mixed and spontaneous fermentation projects are becoming to a growing range of UK breweries. Sussex’s Burning Sky expanded their own such project this year with the addition of a coolship, while Beavertown added foeders and amphorae to its Tempus mixed-fermentation project. In Somerset, 2017 saw the launch of Mills Brewing, which will focus solely on producing mixed and spontaneously fermented beers.